It’s perhaps no surprise that Mayor Muriel Bowser selected Lewis Ferebee to be the next chancellor of D.C. Public Schools. His work at Indianapolis Public Schools made him a rising star nationally. His five-year tenure (above average for urban superintendents) saw a reorganization of the central office to support school transformation and the growth of Innovation Network Schools, where independent entities, including charter management organizations, operate autonomous schools in partnership with IPS. Students at Innovation Network Schools have made big gains on standardized tests, one measure of school quality. 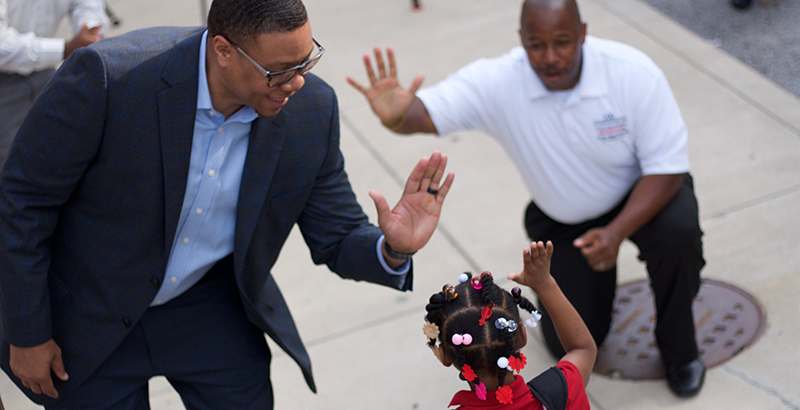 The two systems have core similarities that make it easy to imagine Ferebee succeeding as the next DCPS leader. They’re manageable in size (more than 30,000 students at IPS, more than 48,000 at DCPS) and have deep African-American roots. Both cities have a mix of charter schools and traditional public schools with common enrollment systems that help families find the right fit. On the other hand, the charter school market is much larger and more mature in D.C., educating nearly as many students as DCPS and growing enrollment at about the same rate. Under former chancellor Kaya Henderson, and Michelle Rhee before her, DCPS saw no shortage of major reforms — managing human capital being just one area. With the mayor, city council, Office of the State Superintendent, and DC Public Charter School Board, not to mention a healthy cohort of education policy wonks on K Street, there are many voices in D.C. public education. In order to be successful in DCPS, Ferebee will have to be critically aware of the differences between the cities. ● Restoring trust: Confidence in DCPS has been shaken by attendance and graduation scandals, as well as former chancellor Antwan Wilson’s abrupt resignation when it was revealed that one of his children was allowed to bypass the enrollment system. What needs to be in place so D.C. schools are attractive to families who might move to the suburbs or send their children to private schools if they can’t secure spots in highly sought programs? How can the district ensure they are unable to cook the books on key measures? Ferebee showed that he can listen well and build trust with the public, but he will have to move more quickly than he did in Indy to take on these challenges. D.C. developed a community-driven plan under the Every Student Succeeds Act that could be leveraged — in partnership with the superintendent’s office and charter school board — to ensure that all schools are held accountable. ● Creating more school autonomy: Because nearly half of D.C. enrollment is at public charter schools, Washington is often described as having a portfolio strategy. However, its traditional school system is managed much more centrally. There is appetite for increasing autonomy and empowering school principals, but not much vision for how to achieve it. Policymakers have resisted giving the chancellor the ability to charter schools, but Ferebee could help define a third way. Building on his experience with innovation schools, he could think creatively about giving district school leaders more flexibility and working with nontraditional education partners. As a practical first step, he could consider new performance contracts with principals that define their autonomy and responsibilities. ● Reducing the achievement gap: No small thing, and a challenge that faces any urban school system leader. In D.C., we have seen that the public school system can work for middle-class kids again. But what about the kids the system has always failed? Despite the robust mix of traditional and charter schools in the city, many neighborhoods remain underserved by quality school options. In Indy, Ferebee oversaw high school closures, demonstrating that he would make hard decisions as needed for the district’s overall health and push to rethink instructional models so they better meet students’ needs. In D.C., enrollment declines and financial pressures are not (currently) an issue, but school transformation is no less urgent. Above all, in Indianapolis, Ferebee believed that his work should be judged on whether his schools could increase social mobility in the city. His greatest strength in Indy was building a coalition across the city that shared these beliefs — and if he can leverage this ability to achieve common ground to tackle D.C.’s challenges, he may very well rank with Rhee and Henderson as transformative Washington school leaders. Sean Gill and Shannon Murtagh are research analysts at the Center on Reinventing Public Education. 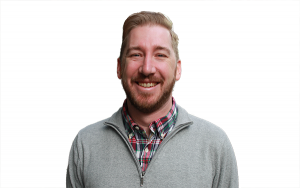 Sean Gill is a research analyst at the Center on Reinventing Public Education at the University of Washington Bothell. Shannon Murtagh is a research analyst at the Center on Reinventing Public Education.